Do you feel the same emotional high as I after creating a meaningful breakfast? Such that it ceases to be a shallow acquaintance in the morning, disappearing as fast as it appeared– head to table, then head to door. It’s so much more than that. It’s a tuning into the senses, savouring a myriad of plant-based foods that nourish and lighten the soul, the abundance of classic and sometimes unexpected flavours colouring the rest of your day with creativity and comfort. Just as how some people have shaped and supplied your existence over x number of years, food too mirrors this truth. In clashing flavours, harmony is found. There’s no ‘right’ time to treat yourself. Lately I’ve been re-focussing once more on the importance of routine, which really does free up a lot of creative head space during the day. Suffice to say that, upon the first moments of rising, after a cleansing elixir of which recipe I modified from various parts of the Internet (1 tablespoon apple cider vinegar, juice of half a lemon, top up the rest of my 750ml glass with filtered water, mix mix mix), meditation, a short workout and mini journalling session, a generous, flavourful, exotic breakfast is always welcome. Black sesame, matcha, red bean. These are the flavours which still call to be delivered on an almost-daily basis. The magical trip to Japan was bookmarked with earthy flavour, soil and icy freedom etched in the wintery grey skies. These waffles are a throwback to some charcoal waffles I used to travel far for back in Singapore, though are richer in traditional goma flavour instead of being just, well, black. The use of activated charcoal here helps the colour, though that is optional. 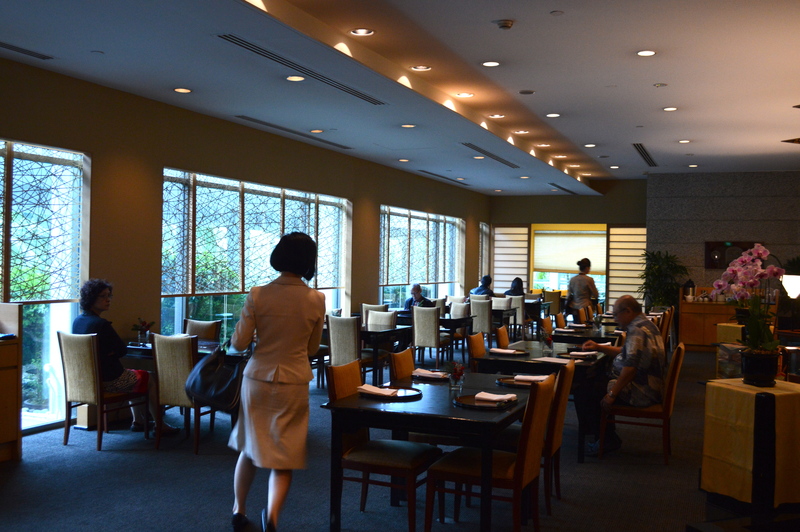 What makes it special is a black sesame paste made of finely ground black sesame, maple syrup and sesame oil. The ratio of the paste is much more coarse than that for the actual waffles, but as long as you get a relatively coarse, all-black paste then you’re set and ready to go. And this lemon curd! Ah lemon curd, something I have unconsciously craved for so long and have failed to substitute with various tangy yoghurts and the morning lemon wash, has finally made a sturdy comeback. All vegan, all delicious, creamy and silky. I used agar powder since I did not have vegan gelatin on hand, but use the latter if you do have it. The agar promotes a more jelly-like flavour so use much less of it. Another great thing is that you can make both waffles and curd at the same time, and not waste time making one thing after the other. If lemon curd isn’t really your thing, these waffles would pair well with most anything else– this morning I coupled a toasted one with tahini, frozen fruit and maple syrup, the white pasty sesame-y tahini (yeah, to think I speak and type English) amping the roasted, toasted flavour of the black sesame paste in the waffles. The lemony curd cuts through this pastiness, a sunny break. First, make the black sesame paste. In a food processor, process the black sesame seeds until fine. This will take quite a while, perhaps at least a couple of minutes (well it took a while for me, at least). Once they look quite fine, add the maple syrup and oil and pulse again until everything is well combined. The paste should be dark and sticky. In a separate bowl, weigh out all your dry ingredients and mix together well. Add the charcoal powder, then all the wet ingredients. Mix everything together until just combined. The mixture should be moderately thick, dark, and have speckles of the black sesame paste. Heat up your waffle iron according to its instructions and ladle in your glossy, dark batter. Do not put too much or the batter could seep over the sides once you close the lid. Wait for at least 3-4 minutes before opening the lid and checking. Mine does not need flipping over so I only had to close the lid for a couple more minutes again. While the waffles are cooking, you can combine the ingredients for the lemon curd except for the yoghurt in a small saucepan. Mix everything together well then bring the contents to a boil. Once boiling, take the pan off the heat. This part is important! It may look as though the mixture is still very liquidy, but that’s how it should be. Leave it to cool while you deal with the waffles. After half an hour, take a spoon and mix the curd. It should be a little jelly-like, or at least thick. Add the yoghurt and mix to lighten the colour and smooth the flavour (otherwise its a little too intense). The waffles and curd will keep for up to a week in your fridge, or you can freeze both and heat up either whenever you want. Serve with each other, with maple syrup and fresh fruit. Bliss, at its true finest. I miss Japan. That much I can say. So upon invitation to check out ProudEast’s new Japanese-themed popup, I could quite literally feel my belly slowly move upwards. Not that belly-lurching could be any good, in any which way or form, it’s just that I knew all those juices were undeniably angry, screaming for some oriental nosh. And you can indeed get that sort of thing here in London, little miss dressed-up International, though at hard-shelled prices pasted on seaweed I could get for two cents at my local oriental store back at home. Eat Tokyo (of which there are several outlets here) is pretty worth most bites of sweetly-vinegared rice, but there’s a certain degree of delicacy, an intricacy lacking that, to me, is so intrinsic to Japanese cuisine. Of course culinary chains aren’t meant to be all whimsy, but I can’t help it. Even the most chain-like places in Japan were more like fanciful culinary arenas, where sumo wrestlers gracefully dance and jiggle. But London is London and some things don’t change. Here was a chance to put my worn tastebuds to good use. Seated along the blossom-lined path of Regent’s Canal, Proud East describes its pop up as ‘fusing Tokyo’s dynamic cultural hub with century old customs’. True enough, I was greeted with rich reds splashed amongst a contemporary monochrome palette. Lanterns. Clean wood. Sharp lines. Now if only there was a Japanese lady, but you can’t have it all, right? I started my little self-made food sequence with their Aki Ban Cha, a light and fragrant green tea (though the lady who served it didn’t know what it was). They have a selection of three teas on offer, and mine stayed warm and life-giving for the hour I was there. There had to be some sort of meditation in case anything else went awry. The star, the silver, the gold. The Hiyashi Ramen, which I chose to eat with shimeji and shiitake mushrooms, bamboo shoots and homemade kimchi (hit the jackpot here! Not overwhelmingly spicy, delicately sour). Commending the traditional cooking method of soaking in cool water; the noodles turned out cold, bouncy and firm. A tender bite, mildly sweet and lusciously dressed in that supple, slippery ponzu (soy and yuzu, a Japanese citrus fruit like a light yet more bitter version of your typical orange). Though I keep eating eggs, dairy and meat to a minimum, hats off to the bright orange yolk tenderly cooked to perfection. A wobbly and ready-to-burst onsen egg would’ve fared even better, especially on this cool base. Well-cut, lovingly-marinated vegetables rounded up the savoury notes with an innate fresh and tangy zeal. I took it all quite seriously as the flavours were almost mesmerising, crisp silhouettes in my head. Almost as good as Tonkichi back at home in Singapore. I liked how they provide free chilli oil and white vinegar too on the side. The noodle volume was a little overwhelming for someone like me, but so worth it when priced at £9.50. I wasn’t expecting this to be wrapped up and sealed with ‘Happy Endings LDN’, which did sound a bit weird for obvious reasons but compelling all the same. The ice cream alone is its saving grace, for I did taste miso streaked through the marshmallowy fluff of ice cream. Sweet and pillowy. The easy sort of eating, say if you want to grab something unusual (albeit fast-melting) on the go. The whole concept is cute– you also get to play games upstairs, watch some arthouse Japanese films and indulge in some sushi and sashimi making classes. As they mention, ‘Proud East’s open plan kitchen will be taken over by one of the finest London restaurants, Tonkotsu, with a tantalising menu including fresh Gyoza, Crab Korokke, Chicken Kara-age and Tonkotsu’s signature dish, their intensely flavoursome and creamy Ramen’. Some serious immersion going on here and this spot will satisfy your Asian tooth for as long as you like, just until it ends in about 10 weeks. So get your butts here guys. I guess I should stop with the chocolate some time. Some time. In the future. Not now. It’s been weeks since I left Japan, but I occasionally find myself reminiscing bits and parts of it. The little alleys, and corners, and scarily magnanimous people. Oh right, and the food. That. I remember strolling into a little sweets shop with the rest of the family, and we were greeted by mile-high packs of mochi– little rice cakes made with Japanese glutinous rice. Mochi’s kind of like a magic food, consisting of polysaccharides, proteins, lipids and water. All weaved together to form this sticky, chewy, yet delicate mass. The gel-like consistency is actually due to lack of amylose in the starch grains of mochi rice, and it’s that sort of texture I wanted to recreate in this cake. When I came across Food 52’s recipe for a chocolate mochi snack cake, I knew I had to give it a shot (and a little twist). Now I didn’t have the sort of rice necessary to make traditional mochi, but rice flour came close enough. And so rice flour it was. I know I know, it’s a chocolate cake. Yet it’s much more than that. It’s akin to something bolder, and brighter, yet lighter. The crumb is so fine, yet each slice is perfect and straight-edged, holding its own, each bite one of chocolatey integrity. The secrets here are the addition of coffee, use of confectioner’s sugar, and the melting of chocolate, butter and honey as one of the first steps. Take your time making this– it’s simple but harbours close precision. I couldn’t resist adding a dash of coffee into the wet mix, and the result was moist and fragrant. You won’t regret dashing out to get that extra pack of confectioner’s sugar either– it yields the most fine and delicate cake crumb. Preheat your oven to 180C (350F) and grease and line a 9×9-inch brownie pan. In a medium-large bowl, whisk together the rice flour, sugar, baking soda and salt. Put the 180g of chopped dark chocolate, butter and honey into another bowl and microwave for 1 minute. Take it out and stir until you get a smooth, homogenous mixture. Alternatively, do the same in a saucepan and over a low-medium heat. Scrape the smooth chocolate mix into a large bowl (large because it’s going to hold quite a volume), then stir in the 2 eggs, milk, coffee and vanilla extract. Add the dry mix and fold into the wet mix until you get a smooth, rather wet, light brown batter. Probably much wetter than what you would expect, but not as sticky or glutinous as your typical brownie batter. Then stir in the extra 160g of chocolate chunks mixed with the extra 2 tbsp of rice flour. Scrape the batter into your greased pan, and bake for 50 minutes in the preheated oven. Once out of the oven, pierce random parts of the cake with your fork or knife, then drizzle over the honey/maple syrup. Leave to cool for half an hour, then cut and serve. This cake can be kept for a week in an airtight container in the fridge, but as the original recipe from Food 52 states, it does taste better at room temperature (ah, what are microwaves for). Serve on its own, though it’s also delicious with a heavy hand of chocolate spread (as shown above) or whipped cream. The longest flight cannot deter me from the baking buzz. Oh, sweet, unfailing kitchen and oven! All at once, 2015 is behind my shoulder, at the top of my head, and heavy in my heart. As I was scrolling through my old posts and reading my personal diary, I realised how important and special this little place has become to me– never did I think it would grow into such a shrine of my passion. I’ve sometimes blurred the line between personal thought (which explains the existence of my diary, something I’ve kept for 10 years and counting!) and just rambling on about cake and anything to do with sugar, but I’ve learnt to embrace that once in a while, and it’s only enhanced my excitement over writing about anything in general. With a long, hard year ahead, I’m determined to keep it close, despite all the work I know I will face during the long run. 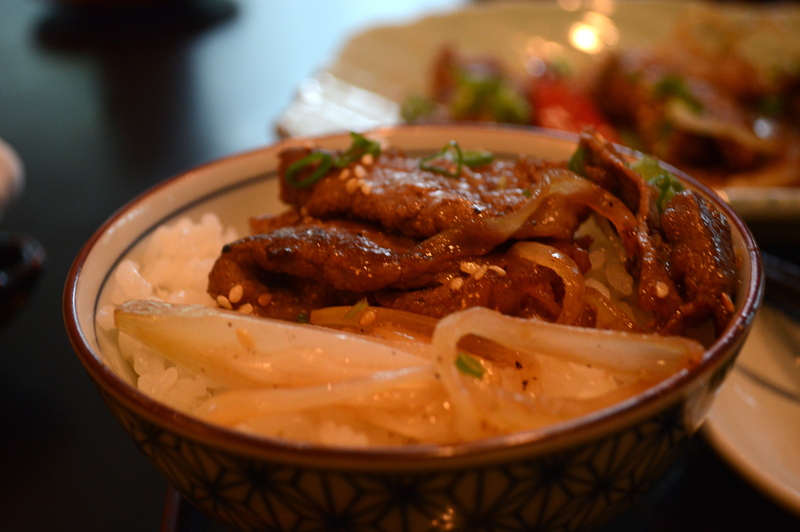 I don’t think this post would be complete without a little more on the main inspiration behind this recipe– Japan! Amazing food, small kitsch gadgets, overwhelming magnanimity. If there’s a country that’s got tourism down pat, it’s the Land of the Rising Sun. Oh, and not forgetting heated toilet seats. Really. That’s always a plus. Afterwards– a solid, foreign calm. Back to the heat, the familiarity of my favourite tiny island, though admittedly, and as a friend put it so well, it feels so weird not to be held accountable for anything anymore, then suddenly be thrust into the routine of family fun. It does require some getting used to. The taste of Japanese food after a good 3 months without the stuff was almost a spiritual experience. Just imagine– the freshest uni possible (mildly rough texture that gives way to buttery insides, mmph), slippery, thick slices of fresh pink otoro (fatty tuna), and of course… green tea. fluffy matcha baked doughnuts, stuffed with nutella and covered in a matcha glaze. You see it, I see it. It’s got all the goods, and anything stuffed with chocolate/hazelnut chocolate spread is a win. Based off my previous recipe for maple bacon doughnuts (I implore you to try these at some point in your life as well), the results were lush– fluffy, cake-like doughnut base, a slight twang of sponge in there, gooey nutella in the middle, and a glaze that speaks loudly of matcha instead of simply being a sugar overload. The addition of spice is simply my excuse for not being around during Christmas do indulge in the usual Christmas baking routine, but it adds another level of flavour that propels this simple recipe to something that much more festive. By all means, leave the spices out if you prefer a more straightforward chocolate-matcha pairing.There’s something about the pairing of the mild bitterness present in all that matcha, and rich milky hazelnut chocolate that’s unbeatable on a Sunday afternoon, coffee and book in hand. Right, let’s do this. Preheat your oven to 177C and grease a doughnut pan. In a medium bowl, whisk together the flour, baking powder, baking soda, spices, matcha powder and sugar. In a separate bowl, whisk together the egg, melted butter, milk and vanilla extract. (tip: it helps to have all your ingredient at room temperature for even, stress-free mixing). Tip your dry mix into the wet mix and mix together with a wooden spoon or spatula until everything is well combined. Take a tablespoon of batter and place at the bottom of a doughnut mold, spreading so it coats the bottom (you don’t want too many chocolate leaks) and goes about halfway up the side. Using two teaspoons or a piping bag (or use a small ziploc bag with the tip cut off), line the middle of each doughnut with nutella/any chocolate spread or even melted chocolate. Do this 6 times for 6 doughnuts, then place the molds in the preheated oven and bake for exactly 8 minutes. I find that the shape and size of the doughnuts are perfect if you fill the molds 3/4 of the way with batter, rather than all the way. Once you take them out of the oven, the doughnuts will feel soft and tender to the touch, with a gentle rise and the gentlest browning on top. Leave them to cool on a cooling rack while you make the icing (thankfully, it doesn’t take long). For that, simply whisk together the icing ingredients and set aside to use once the doughnuts are cool, else it will melt everywhere. After 10 minutes, remove the doughnuts from their molds,and dip one side into the bowl containing the matcha icing, then place right way up again on the cooling rack to let any excess icing drip down the sides. Eat right away, or store in an airtight container and keep at room temperature for 1-2 days, or the fridge for up to 4 days. The sooner, the better! Another late post, but I’ve really been so busy with exams and oral commentaries and what have you. Life seems like a never-ending slew of happenings and events and emotions- I just cannot keep up with everything. Currently drowning in a quagmire of helplessness and self-destruction, yay! Nadman, nadaman. Cue the witches’ chants. I came here with my Grandma during the December holidays one fine Monday (shock horror! Monday? It seems like an impeccable dream now). It always seemed like that high-class enclave shrouded in some dark and sophisticated air. Almost demeaning, it’s very name Nadaman seemed to reek of superiority. I don’t know why, but that’s just how I felt about it. Even though on the other hand, it also sounds like ‘nada, man, I don’t give a damn’. 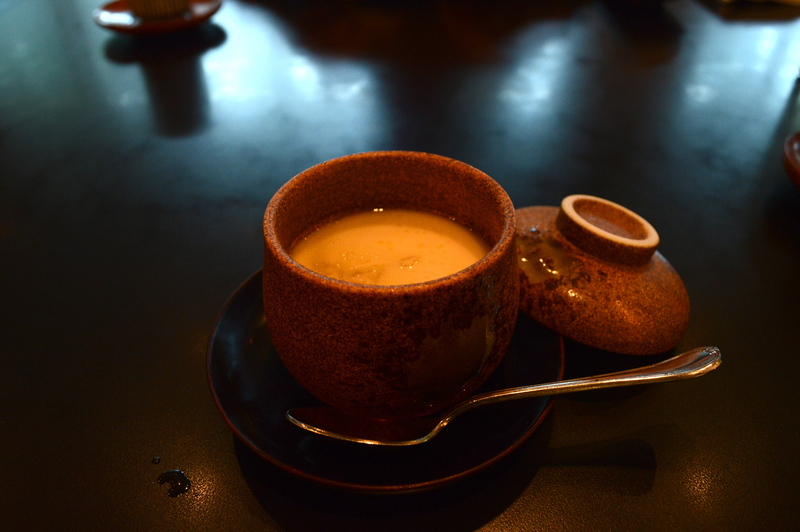 I remember this chawanmushi in particular because of its lovely, silken tofu texture. And I usually pass up this dish. 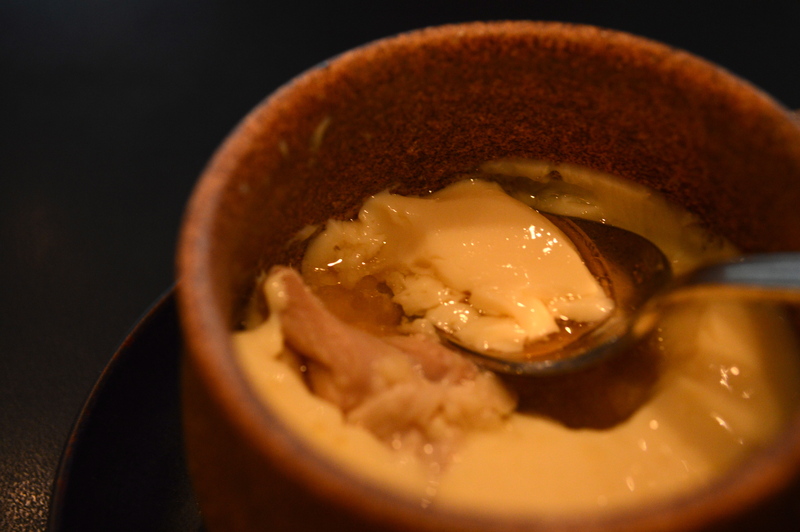 Really, I still find it a little hard to willingly finish a bowl of egg custard, mostly because many places serve it obtrusively bland. And then here comes Mr Flavourful Silken Tofu, punctured here and there with a little nugget of mushroom or fatty chicken. Lovely. I still wonder at how, even after years of experience, chefs are able to manipulate their skills so wisely and deftly so as to produce the perfect texture each time. It’s mind-boggling and admirable. 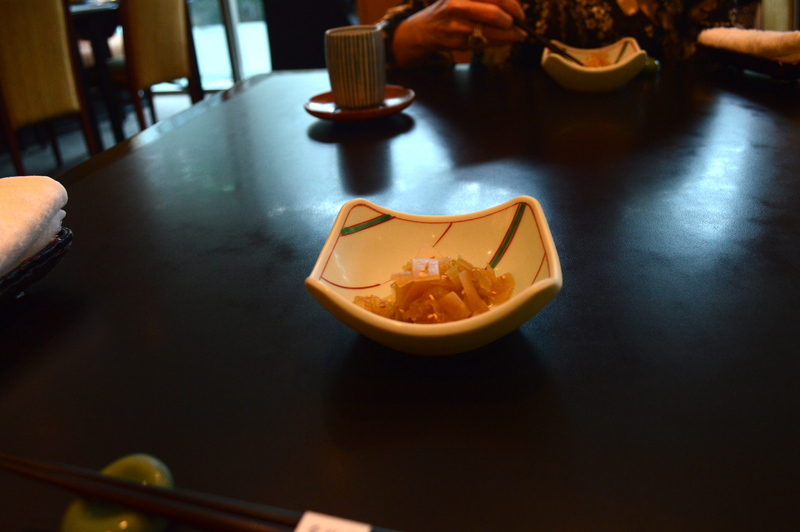 It came after a traditional small appetiser of sweet pickles in a little saucer, which perked my palate just enough to make me look forward to the main course. 70 bucks. That’s easily a burnt hole in your wallet. 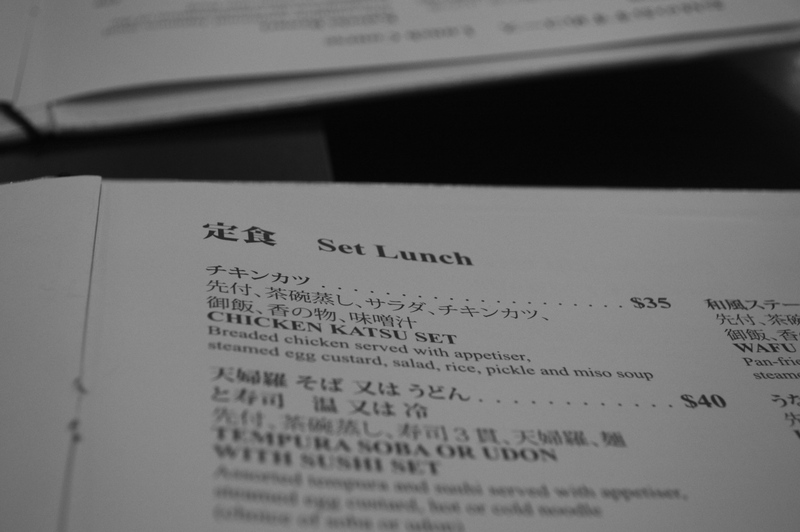 Then again, it was the most expensive lunch set, an aspect of the menu my darling grandmother cared rather little for. 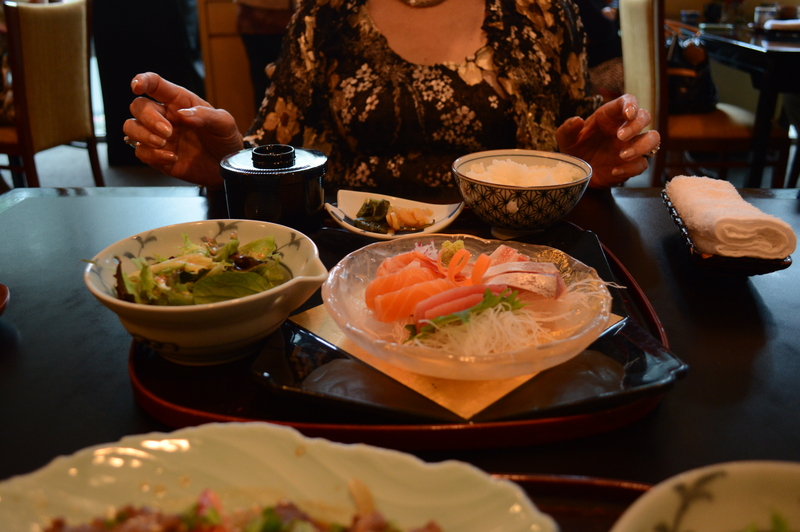 This woman loves her sashimi, and thank goodness it was worth it. The thing is, if it’s fresh, it will taste good. It’s really just a matter of chop, chop, plate, glaze. Make it look pretty too. I relish the light chew, cool slosh of slime, a soft wail from the dead animal’s voice as it hits the back of your throat. Factoring in that substantial variety of fish, including salmon, tuna belly and swordfish, the price was a little startling, but not extensively surprisingly either. Nothing too, well, fishy. On a side note, I always feel like a duck next to my swan of a grandmother. She does everything with impeccable grace, so much so that my efforts with a pair of chopsticks would appear to be a toddler’s game when compared to Swan’s slow, deft handling of whatever she touches. Traditional, feminine, graceful. That is my grandmother compressed into three words, I tell you now. Yes baby. MY set. 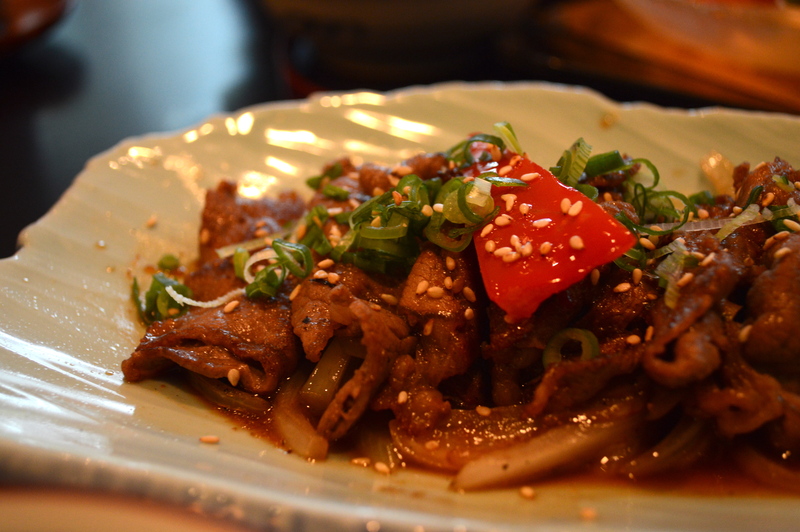 The beautiful juxtaposition between stealing bits of cold sashimi and the sweet, bold richness of that teriyaki-like onion and soy sauce, drizzled over febrile, firm strands of juicy sirloin. Scarred with ridges and perfectly angled knife marks to enjoy maximum saturation of sauce. Don’t get me started on those onions. They were caramelised to perfection, without yielding all firmness. Just the way I like it. Just between debilitating and robust. Crunch, chew, the earthly splendour of the bulb basking in the heat of your mouth. Coupled with a fat spoon of obese Japanese rice speckles, like three-dimensional bits of snow freckles- moist, plump, as white as ever, it made for the most satisfying bite. The unstimulating but necessary bed of warm rice creating an appealing, slightly sweet canvas for the drunk flavours of the plate. I wouldn’t say it’s the best beef ever, but darn, was it good. 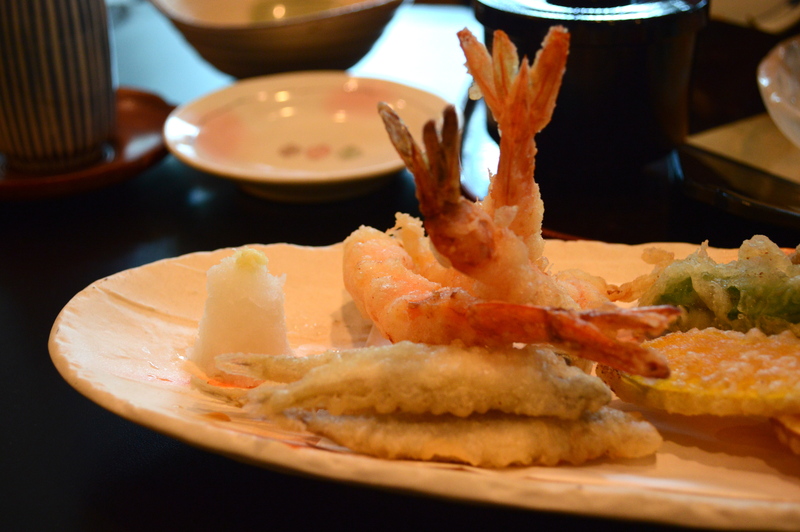 And that tempura? Not too thick and pale with careless slopped-on beer batter. A thin wrinkled layer adhered nicely to the well-cooked underwear that was the succulent prawn and fresh, seasonal vegetables. I can’t eat tempura or any of the fried stuff without the signature tempura sauce (made with soy sauce, mirin, dashi stock, salt and sugar) and cool radish (daikon) flakes. Oh, how I love that white snowy mound which beckons me to dive into its textured complex! Saturate the wrinkled outside with enough sauce to kiss the outer layers of meat as well. The batter on each was a little uneven though, with some yielding a thicker, chewier outside than others. Well, I can’t ask for too much, can I. Just the two of us Japanese gluttons, separated by a few centimetres and a few generations.